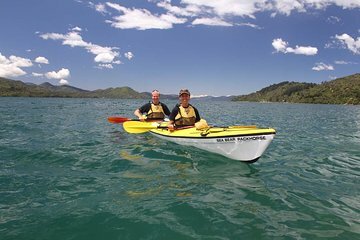 Tour the western end of Queen Charlotte Sound on a half-day paddling adventure from Picton. Settle into your sea kayak and follow an expert guide from the waterfront to sheltered coves and remote beaches. Search the waters for eagles rays, cormorants, little blue penguins, New Zealand fur seals and dolphins while you learn about the natural history of the Marlborough Sounds. Numbers are limited to ensure a small-group experience.